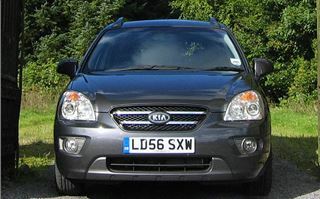 The new KIA Carens for 2007 has a tough job on its hands. The old KIA Carens was a decent enough vehicle. 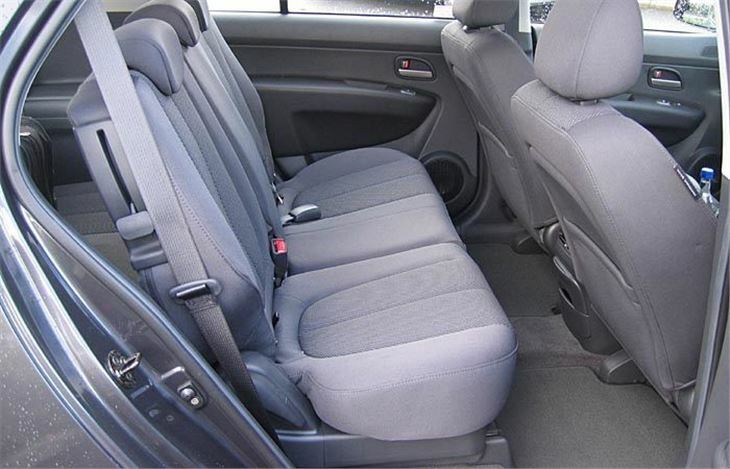 Roomy, pleasant, reasonable to drive and at very fair list prices. 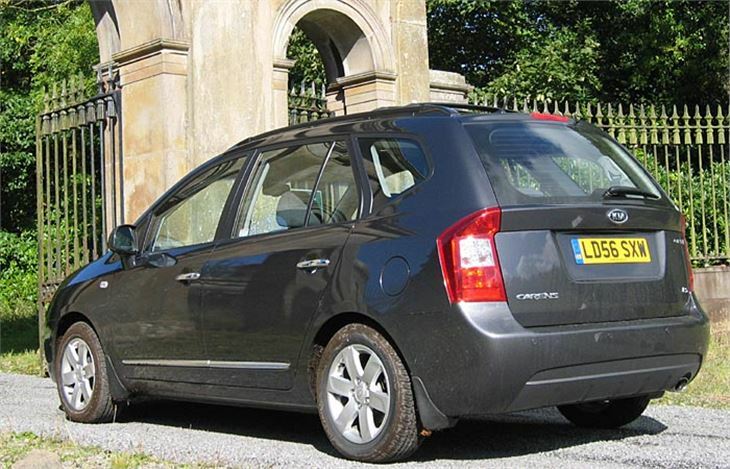 The trouble was at heavily discounted transaction prices, the better looking and better to drive Citroen Xsara Picasso wiped the floor with it. But now the goalposts have shifted. Citroen is still there with 5-seater Xsara Picasso Desire diesels from around £9,800 via a broker. 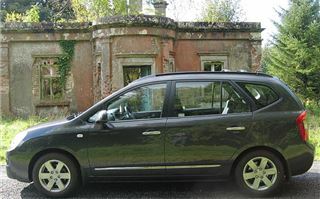 And its much more expensive new 7-seater C4 Picasso. 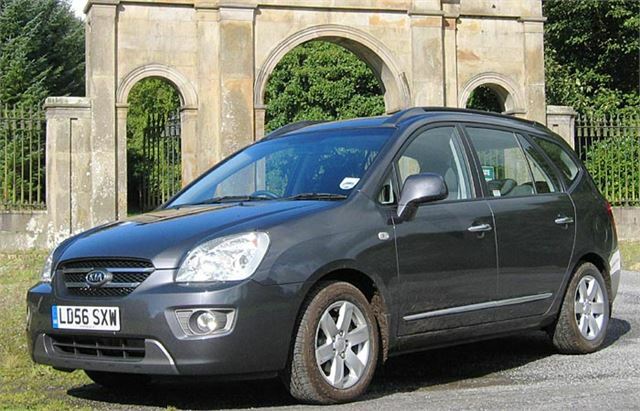 Vauxhall offers a much-improved new Zafira. Renault has updated its Scenic. Ford has the excellent S-Max. And both Vauxhall and Renault offer 7-seater diesel automatics. So what sort of a fight does the new KIA Carens put up against all this stiff competition? Obviously before discounts, it’s still price competitive, starting at £11,995 for the petrol engined 5-seater and £14,495 for the diesel engined 7-seater. 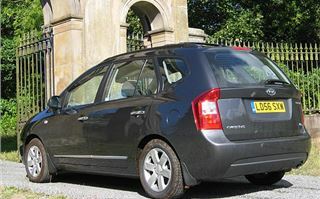 While diesel automatics start at a very enticing £15,495. It’s good looking, not in an alien South Korean kind of way, but aesthetically pleasing by any standards. 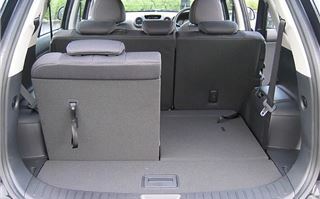 It has a pleasant interior, with practical touches like a shelf in front of the passenger, a dashboard that doesn’t reflect in the windscreen and even a ‘curry hook’ in the passenger footwell. 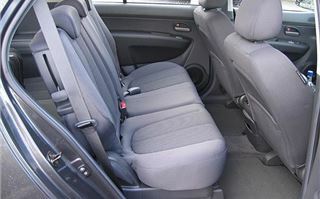 All the seats fold flat; the rearmost two particularly easily. The centre row slides fore and aft 60/40 so legoom can be arranged to suit the occupants. And the plastics, cloth and carpeting are all good quality, without that curious fishy smell that once used to emanate from South Korean interiors. It’s easy to get comfortable. The mirrors are nice and big giving a good view of the car’s flanks. The indicator stalk is, correctly, on the right of the column so you can change gear with your left hand and flick the indicators with the fingers of your right. The parking brake is like an automatic’s. Kick on with your left foot and release with your left hand. Though I prefer a hand brake, it’s actually no hassle, probably because the release is sensibly on the left rather than the right of the steering column. We drove the diesel automatic first. Straight out into Belfast traffic. It was immediately apparent that the car would make a very good taxi. The box only has four ratios and as long as your expectations are reasonably modest, it’s smooth and pleasant and makes a decent fist of getting on with the job. Top gear works out at around 35mph per 1,000rpm so cruising at 70 you’re bang on peak torque that lasts from 1,800 to 2,500rpm. Our route in the auto was mostly straight, so it wasn’t until we swapped to a manual that we were able to push it a bit and find the handling limits on corners. That eventually shows up as roll understeer, not to early to be annoying and with plenty of warning to behave yourself before things get out of hand. Most drivers will have no problem at all with it. I wound up coming back to Belfast in the midst of the evening rush hour, which is always a good test for drivability with a vehicle like this. 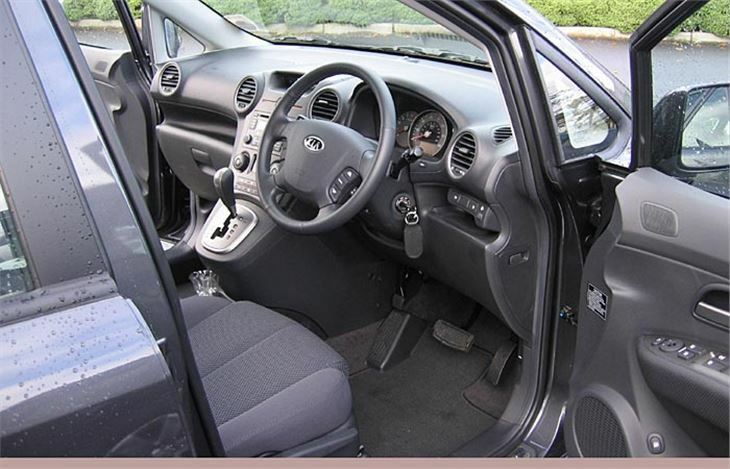 The good mirrors, light clutch and smooth power delivery ensured no problems at all. 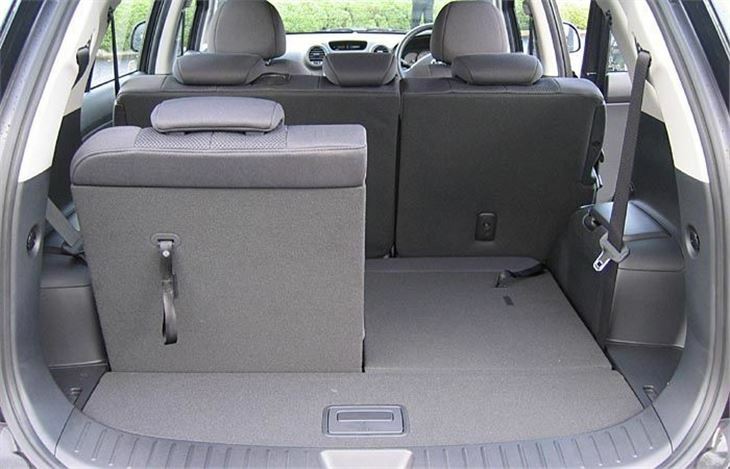 So, a very good mid-size 7-seater, sensibly priced and available with the autobox so many drivers prefer these days from a list price of just £15,495. Nothing else comes close for the money except at a very big discount.